On some devices, a memory card must be inserted for Verizon Cloud to work. 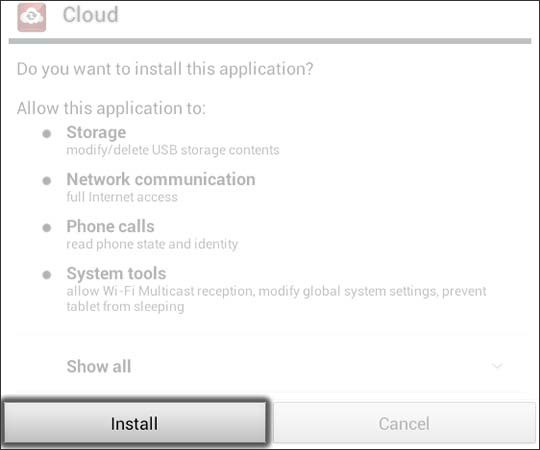 While in the Google Play Store, tap Verizon Cloud (Verizon Cloud for Tablets for older tablets). 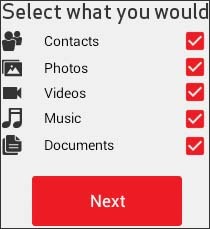 If necessary, tap the Search icon (located in the upper-right), enter Verizon Cloud into the search field then tap Verizon Cloud (Verizon Cloud for Tablets for older tablets). Enter the 10-digit mobile number and My Verizon password then tap Login. Unless the tablet has it's own 10-digit mobile number, the info entered is that of the device with which it is sharing a Verizon Cloud account. Select the items to be backed up then tap Next.